Stay up-to-date on all the latest eventPower happenings. eventPower recently provided ticket sales at IMEX America supporting Meeting Professionals International for the IMEX America Rendezvous networking event. 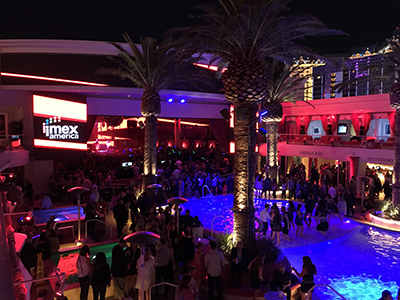 A team of three eventPower staff supported ticket sales online and on-site for the large event at Drei's Nightclub at the rooftop of the Cromwell hotel in Las Vegas. The event was a huge success while attendees danced and partied the night away. 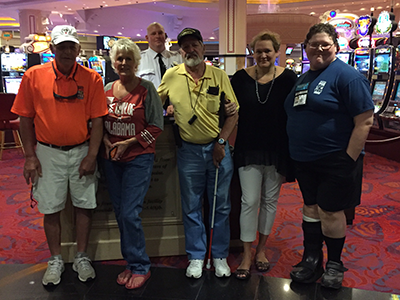 eventPower's Kate Coelln and Sharon Ruyle were recently in Iowa supporting the VA TEE Tournament. This program is a week of golf and recreational activities for U.S. military veterans with visual impairments, amputations, traumatic brain injuries, and other life changing disabilities. The eventPower team provides pre-registration for veterans and volunteers, matching up volunteers with veterans and handling all onsite badge printing along with supporting the volunteer team throughout the event. To track participation and assist the planning team with future events, all veterans, volunteers, and staff have their badges scanned at each activity utilizing eventPower's custom Lead Retrieval & Session Tracking system. eventPower's Courtney Witter and Samantha Jenkins traveled to Mexico City to manage MPI Foundation's Rendezvous onsite event registration and ticket sales at ibtm latin america. We look forward to supporting the MPI Foundation again at IMEX America and ibtm world in Barcelona in November! Stop by to pick up your Rendezvous ticket and say "Hi!" to the eventPower team! 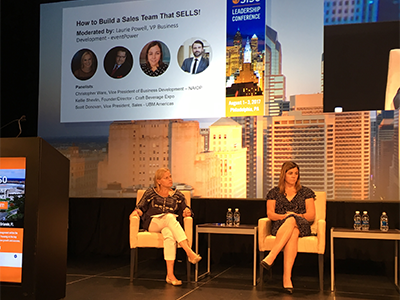 eventPower's own Laurie Powell moderated a panel at the recent Society of Independent Show Organizers (SISO) Leadership conference on, "How to Build a Sales Team that SELLS!" Speaking with Christopher Ware (NAIOP), Kellie Shevlin (Craft Beverage Expo), and Scott Donovan (UBM Americas), they discussed how to sell exhibits in an increasingly more competitive environment. Laurie was quoted in the Trade Show News Network piece. "In order to truly serve the show and the exhibitor, the exhibitor should be requalified before just selling them a booth. Don’t take things for granted." 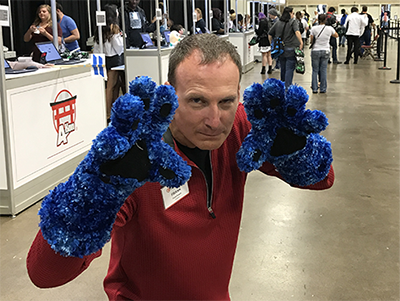 The eventPower team registered, checked-in and badged over 22,000 attendees for the annual A-Kon event for anime fans and guests. A-Kon completed it's 28th year focused on anime fandom, Japanese pop culture, and includes events ranging from panels with authors and artists, gaming, cosplay, and many other events over a 4-day period running almost 24 hours a day. eventPower has been a A-Kon partner for the past 3 years as the event grew beyond pre-printing and the manual process of labeling and handing out badges. eventPower now provides online pre-event registration, onsite registration, and a quick and easy process for A-Kon attendees to print their badges, all while keeping registration lines to a minimum. 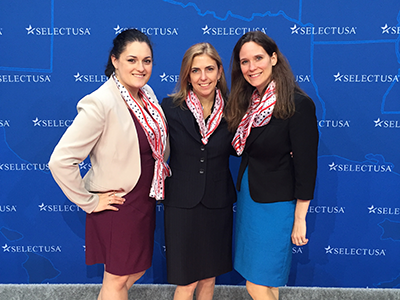 For the past 2 years, eventPower has partnered with the U.S. Department of Commerce to produce the SelectUSA Investment Summit. 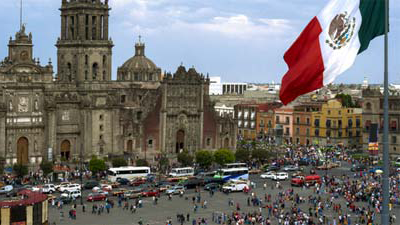 The Summit is the highest-level foreign direct investment conference in the United States. Attendance included participants from over 60 international markets looking to invest in the U.S.